Product prices and availability are accurate as of 2019-03-02 00:33:25 UTC and are subject to change. Any price and availability information displayed on http://www.amazon.com/ at the time of purchase will apply to the purchase of this product. 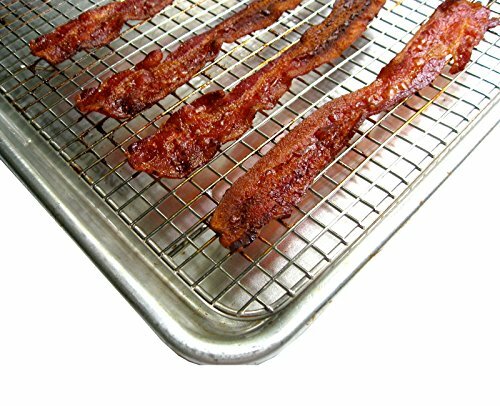 Enjoy crispy baked bacon with a lot less fat! Cool a batch of holiday cookies & avoid over baking! Say good-bye to soggy bottoms on your breads & baked goods! Must-have cookware for the home kitchen! 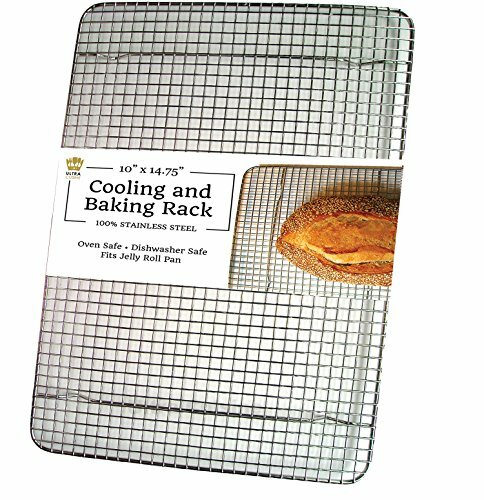 The Ultra Cuisine wire cooling rack was designed to double as a cooling rack AND a baking rack! 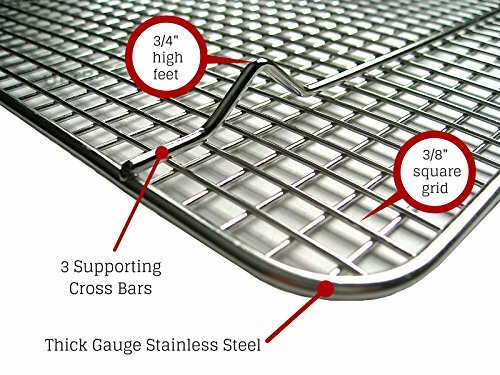 Thanks to high-grade stainless steel construction & a generous size that fits into 1/2 sheet pans - this rack is as perfect for countertop cooling, as it is in a hot oven. 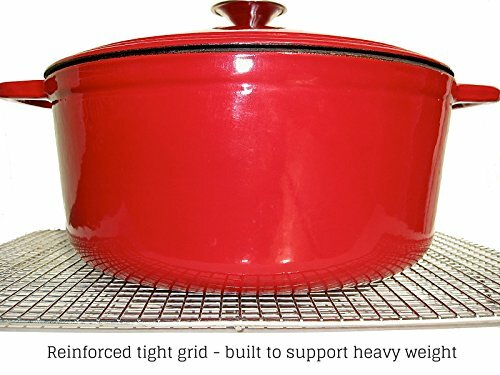 UNIQUE SIZE: Because edges of pans taper in at the bottom, not all 12" x 17" racks fit inside. 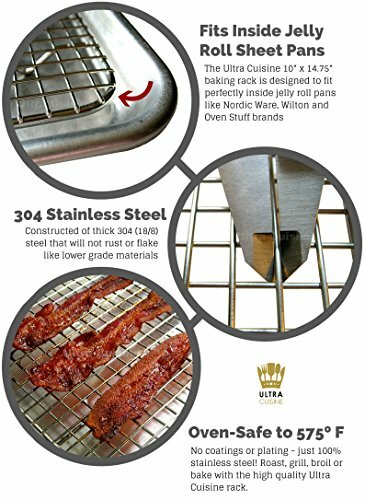 So we designed ours at 11.5"x16.5" to fit the interior of 13" x 18" pans every time like Nordic Ware and Wilton pans. OVEN SAFE: to 575˚F degrees - bake, roast, cook & grill! NO ARTIFICIAL COATINGS OR CHEAP CHROME PLATING THAT CAN WEAR OFF OR FLAKE IN YOUR FOOD. Don't skimp on quality! 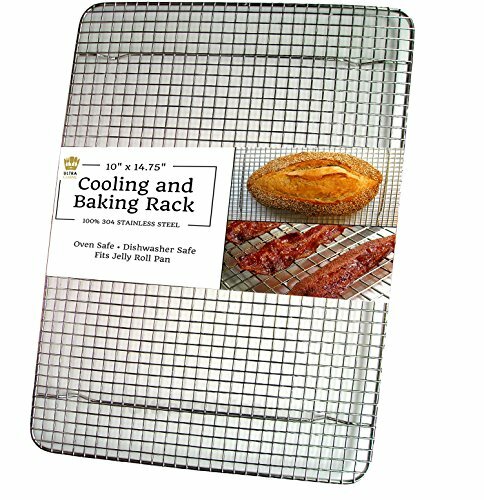 Choose the best cooling rack by UltraCuisine.